The perfect pair of leg warmers, for those days when you really want to wear that skirt or dress, and it’s just a wee bit too chilly! Wear them pulled up or pushed down. Beniga is worked from the bottom, starting with the cuff which is worked sideways with the ends grafted together. Stitches are then picked up to knit the lacy rib for the leg. Lots to keep your interest! Approximately 24 cm around ancle, 28 cm around the middle of the leg – unstretched. 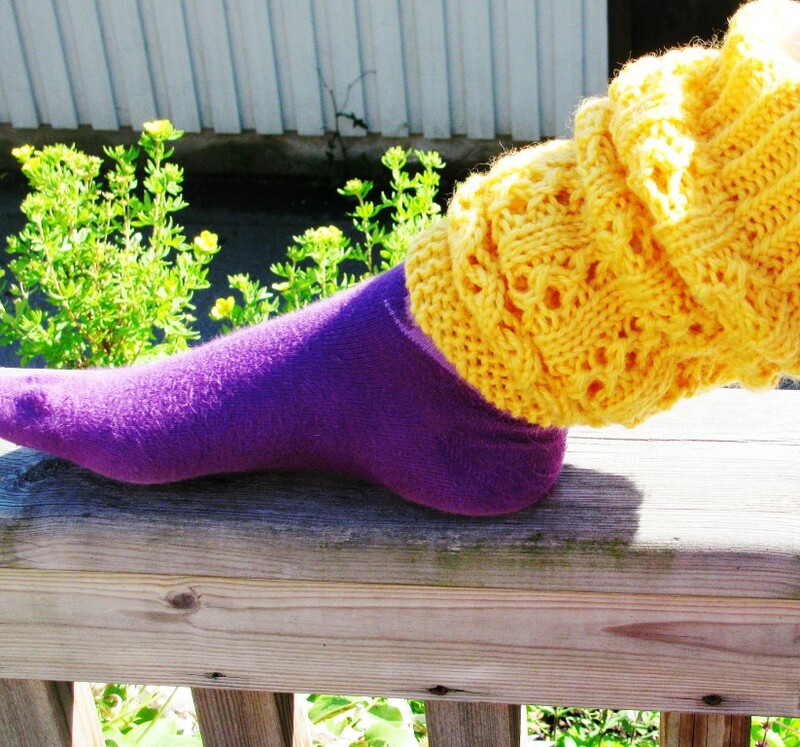 Since the leg is worked in rib, the leg warmers have a lot of stretch to give. 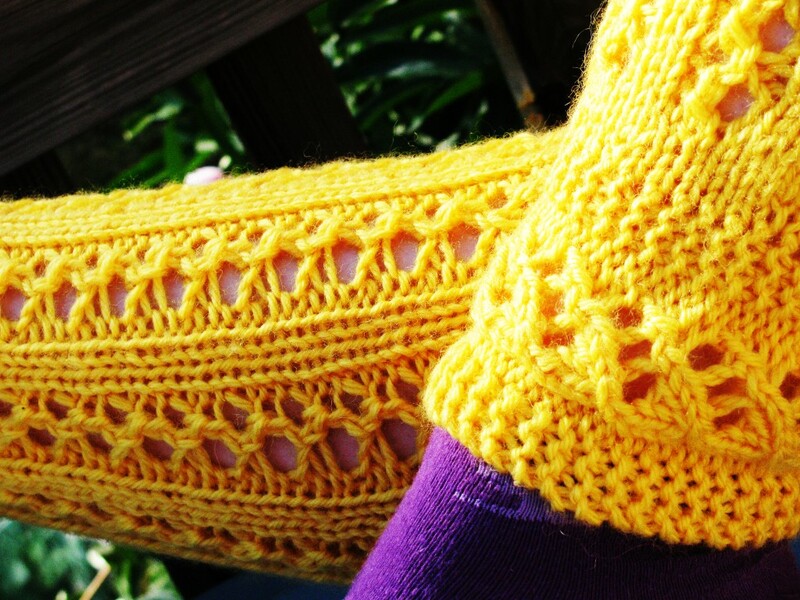 Gauge: 4 sts per inch in stockinette with larger needles.